Achieve radiant skin with the help of a serum from Shiseido and Murad! 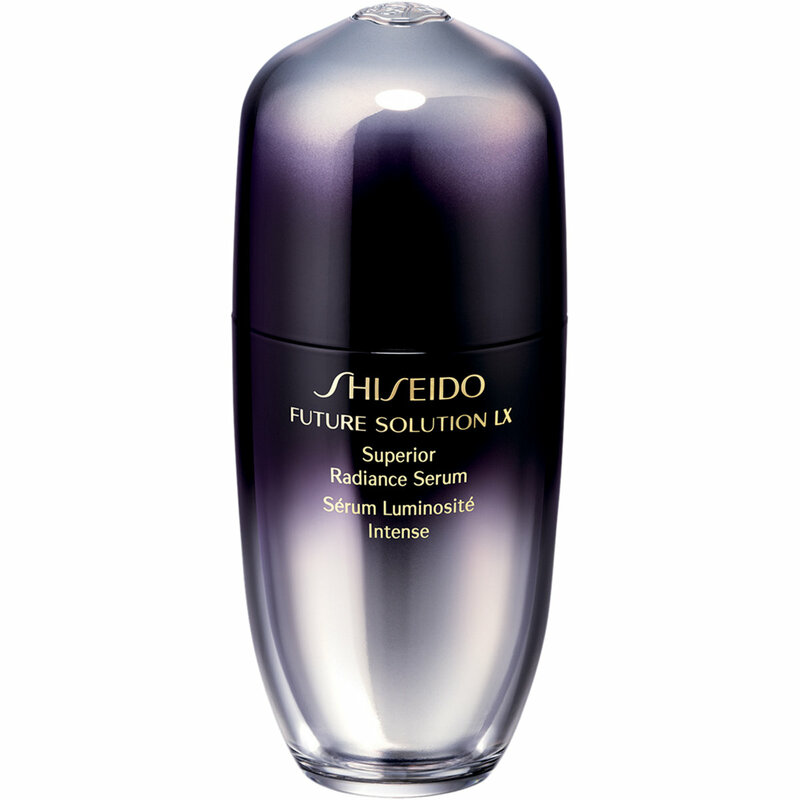 Shiseido Future Solution LX Superior Radiance Serum - 30ml - $260 - with a unique smooth texture that replenishes essential moisture and makes it last all day long while fundamentally improving skin's quality and resistance to visible concerns such as wrinkles, uneven skin tone, dullness, discoloration, pores, age spots, redness and acne marks. It features Shiseido's exclusive Lustrous Dual-Action Technology, each drop contains the combined power of the revolutionary brightening ingredient Pearl Hybrid Complex, and Skingenecell 1P, to reveal glowing skin with renewed clarity, reminiscent of Japan's most precious Hanadama pearls that also counteracts the appearance of future aging along with effective natural ingredients including premium Uji green tea, super yeast extract and star fruit extract. Available at Shiseido counters across Canada. Murad Advanced Active Radiance Serum - 30ml - $89 - with a fast-acting formula with double the brighteners too boost radiance and verse visible signs of environmental damage that features Resilient-C Complex which delivers highly stable vitamin C - with 50 times the potency of prior generations - to improve skin radiance, support natural collagen production, and protect against free radical damage; along with Hexapeptide-2 and Indian fig to boost skin clarity and support natural cell renewal while helping to prevent future pigment formation; and ectoin and green tea extract to jump-start the cellular defense system by helping to resist drastic environmental stressors including UV exposure and chemical aggressors.